Amid the ongoing shakeup at the network, NBC Sports Philadelphia has brought a local product into the fold as a host and reporter covering all four major sports teams. The network announced Thursday that Delran, New Jersey, native Taryn Hatcher will be coming "back home" to "create content for multiple platforms," appearing both on-air and on NBCSportsPhiladelphia.com. “I grew up watching the Flyers, Eagles, Sixers and Phillies – I fell in love with sports and wanted nothing more than to be a sports reporter. This has been my dream since childhood and I absolutely can't wait to get started," Hatcher, who attended Delran High School, said in a press release. The network said Hatcher, a former intern, will serve mostly as a host and reporter for the website, but will also occasionally fill in on "SportsNet Central." A Rutgers University graduate, Hatcher also interned at the sports department for WCBS-TV in New York and iHeart Radio in Philly. She was a sideline reporter for the Big Ten Network, and worked at her most recent gig as a sports reporter for Hawaii News Now since 2015. 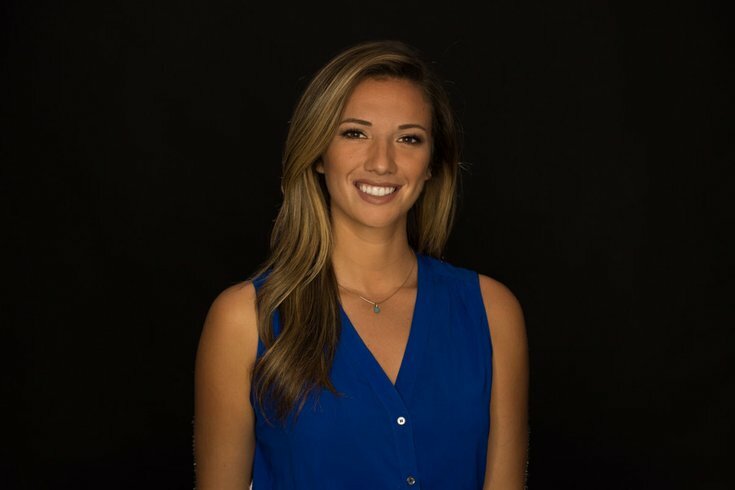 The announcement comes a little more than a week after the network declined to renew the contract of Sixers sideline reporter Molly Sullivan, who had worked the benches for six years. Hatcher's job description doesn't mention anything about her becoming the Sixers new sideline reporter although the announcement stressed she would be working a "multi-platform" role. [Executive Producer Shawn Oleksiak] essentially said that the network has decided to streamline their coverage. He mentioned that at one point during my six years here in Philadelphia that they had three people doing one job. Sullivan said she wanted more responsibility but wasn't given a real shot at taking on more duties. For what it's worth, Marshall Harris — who also was recently let go by the network — congratulated Hatcher on her new gig. Shout-out to my peoples @TarynHatcher! Give her a warm welcome to my old stomping grounds (and a follow #onhere). Good luck kid! Hatcher will begin at NBC Sports on July 23. However, she apparently has already been introduced to the strange, quasi-celebrity status that comes with being an on-air personality in the Philly market.